Located inside the Route 1 Machine Co.
Beardman Bicycles is a family owned metal fabrication shop specializing in handcrafted bicycle frames, forks and racks. 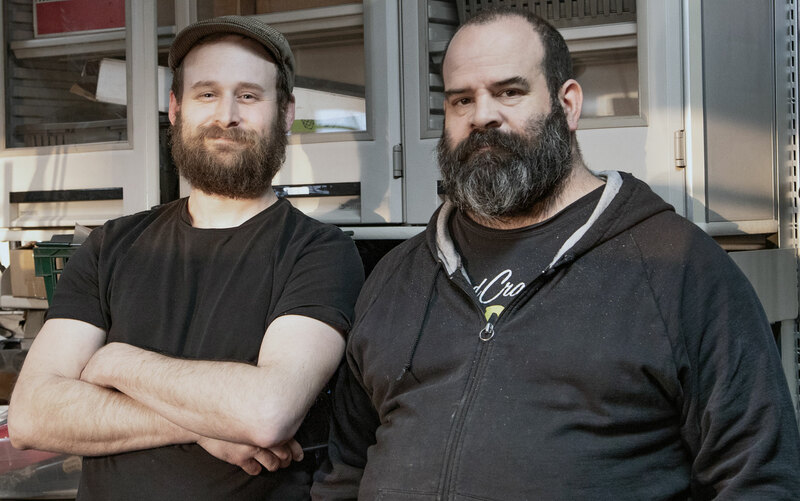 Scott Krawitz (left) and Tom Gomes (right) meticulously create products individually for each customer with care and consideration for their personal cycling goals and objectives. Whether you desire the most capable ride for demanding grocery store runs, relaxed cross country adventures or grueling road races, Beardman Bicycles can make the ideal riding machine for you.